Total: 5 Min. | Active: 5 Min. 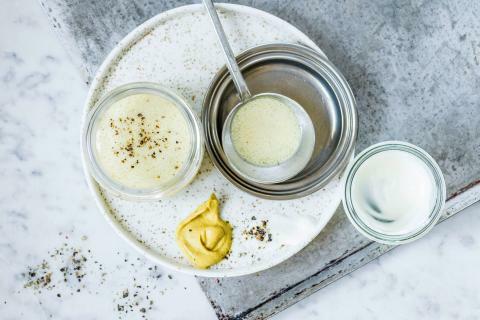 Combine the mustard with all the other ingredients up to and including the yoghurt, season.